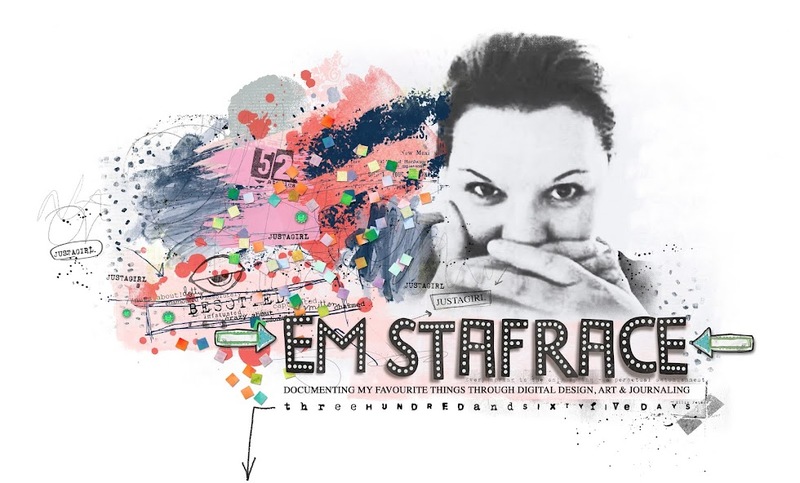 Em Stafrace| Just a Girl with Ideas: USING TRANSPARENCIES TO ADD DIMENSION. USING TRANSPARENCIES TO ADD DIMENSION. There are many patterned and motif transparencies on the market, but finding the right one for your LO is not always easy. In this tutorial we are going to look at making our own designs to create dimension on your project. 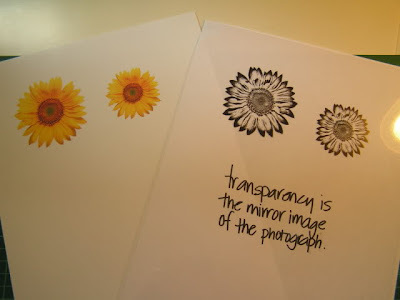 There are many applications for using transparencies like adding journaling or an image to your project without covering up any background PP’s. 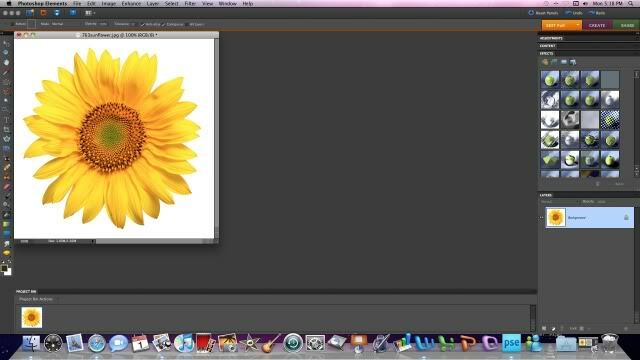 But my favourite way to use them is to to layer them over an existing image, like a flower. In the following steps you will learn the basic application of designing an image in your photo editing program, printing that design onto the transparency and then creating the final dimensional embellishment. Step1: Open up a photo or image you have in your computer, in this instance it is a picture of a sunflower. 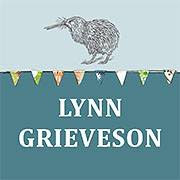 Do any tweeking you may think it needs ie: Change the saturation or light source so that you have a clear, and crisp image with lots of detail. Step 2: This step is important. When saving your colour image make sure the dpi (dots per inch) is set at 300, this ensures a high quality image is saved for premium printing. Print this image out onto photo paper or cardstock. Step3: Re-open your newly edited image and change it to Greyscale. The next process is to add filters that enhance the greyscale image so that it is a Black and White image. Most photo editing programs have a saturation filter. When you apply this you are changing the brightness and contrast levels so that you have a distinct B&W image. You will notice that by rendering this process a lot of detail is lost, that is exactly we want to create... lots of white space with some detail left. Once you are happy with your image save it, then continue to step 4. Step 4: This is a crucial step to remember. Change the direction of your B&W image so that it is flipped vertically into a mirror image. The reason for this is that this B&W image will be printed onto the transparency Paper. N:B All Transparency Papers have a rough and glossy side. The Rough textured side is the side that the image is printed onto. Once printed and time allowed to dry ,we want to flip the printed image over and have the glossy side facing up on our LO, so obviously when we do flip it the image is the correct way up, the same way as our original coloured image when the two are overlayed. Step 5: Carefully cut the two images out. If your transparent image is a flower like this one cut the petal outlines into the center making sure you still have the center in tact. 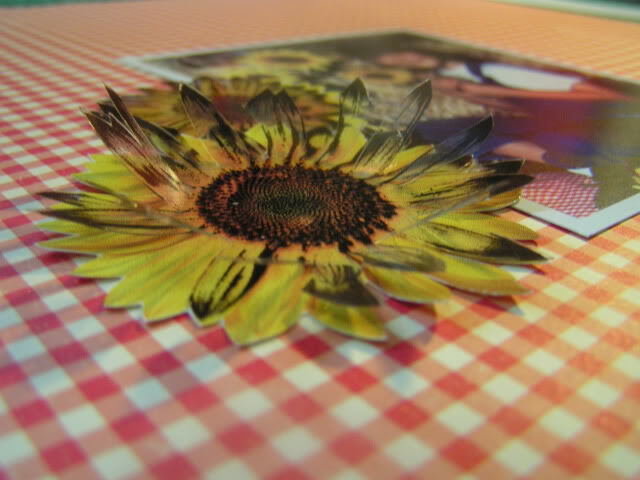 Step 6: Using some clear dry adhesive, paste the transparency cut out over the corresponding photo image and fluff up the petals to create dimension then adhere it to your project. Now you have a uniquely custom designed embellishment. 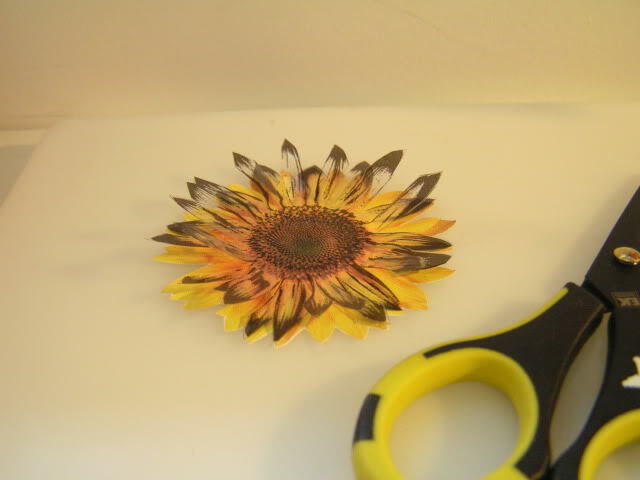 NB: To add even more dimension to your page, cut out a small piece of cardboard and adhere that to the underside of your flower then using a pop dot stick it onto your page. 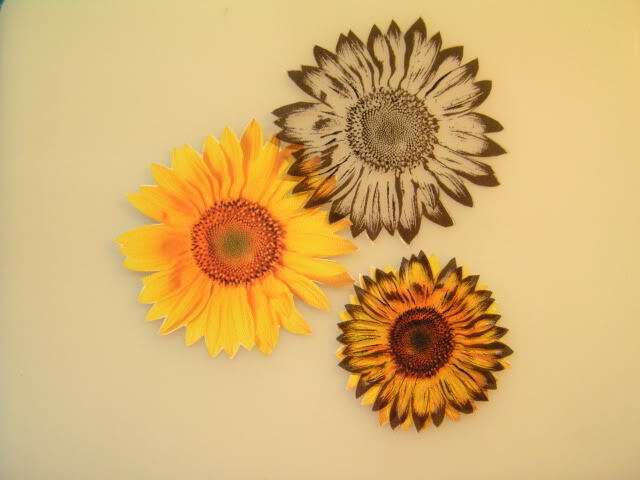 You could also use some flower Soft on the embellishment to create texture. thanks so much for the tutorial!! You sure are clever. Thanks for stopping by my blog, you no doubt would not have long to go either, hope the preggy journey is being kind. wow!! very clever thanks for sharing..